Rohit Agarwal is the founder and CEO of techTribe Networks, a software company that enables current and future professionals to connect with others to enhance their careers. Rohit recently co-authored a book along with Patricia Brown, titled, How Innovators Connect. Jawad Ansari (Miven Ventures), Jan Baan (Baan, Cordys), Eric Billingsley (eBay), Marc Benioff (Salesforce.com), Drew Clark (IBM), Gururaj “Desh” Deshpande (Sycamore), Tom Erickson (Systinet), Stuart Evans (Cambridge University), Ashish Gupta (Junglee), Umang Gupta (Keynote, Gupta Corp.), Mark Hanny (IBM), Dan Harden (FrogDesign, Whipsaw), Mark Hoffman (CommerceOne, Sybase), James Hong (HOTorNOT), Bradley Horowitz (Yahoo), Subrah Iyer (WebEx), Kiran Karnik (NASSCOM), Guy Kawasaki (Apple), Emmett B. Keefe III (iRise), Jerry Kennelly (Riverbed), Joe Kraus (Excite, JotSpot), Audrey MacLean (NET), Phaneesh Murthy (iGate), Ram Mynampati (Satyam), Mark Lewis (EMC), M.R. Rangaswami (Sand Hill Group), Rajeev Samant (Sula Wines), Manoj Saxena (Webify, Exterprise), Ram Shriram (Google), Ashmeet Sidana (Foundation Capital), Vishal Sikka (SAP), David Skok (Silverstream), Louis Teto (Taleo), and many more. For Rohit, the book is not a commercial effort, but part of his passion for spreading the message of innovation in India. Priya Shah of WATBlog called me up to do an interview on the current state of podcasting in India. I figured it may be a good idea to record the interview and also release it as a podcast. Traditionally, this is the show where I interview CEOs of Indian IT companies with a focus on entrepreneurship, Internet and Mobile. However, this episode is going to be a bit different. Instead of the interviewer, I become the interviewee. In this episode, we discuss the huge gap between the adoption of blogging and podcasting, the reasons why podcasting hasn’t taken off in India and about PodWorks, India’s biggest podcasting event that is taking place on June 9 & 10. Commute Easy is a pooling initiative whose aim is to connect commuters in Bangalore and Pune who share travelling routes. This initiative is the brainchild of Vipul Kasera, a software professional working at ThoughtWorks. He is a regular carpooler and having lived in a traffic congested city like Bangalore, he saw the value in carpooling. During such carpooling trips to his office, he would lug his laptop to code a solution and thus was born Commute Easy, out of frustration from traffic jams and desperation for less congestion in Bangalore. The site currently offers options for carpoolers to connect in Bangalore and Pune. Vipul’s plans is to extend it across to major cities in India soon. This particular podcast interview was done a few months ago — since then, the site has grown, with a lot of people signing up. 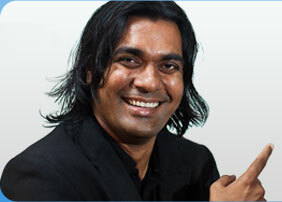 Asawari Desai is a director with TiE Global, overseeing the performance of all the 42 offices. At TiE she is responsible for defining organizational strategy and vision, branding, identifying and addressing issues concerning the organization and individual offices and evaluating opportunities to open new offices. Prior to TiE she worked as a fund manager with JF Electra, a leading private equity fund in Mumbai. She has more than 10 years of experience in financial services of which more than six years in private equity investing, fund management and fund raising and more than four years in financial advisory services.